A still life painting a picture consisting predominantly of inanimate objects that are carefully arranged. 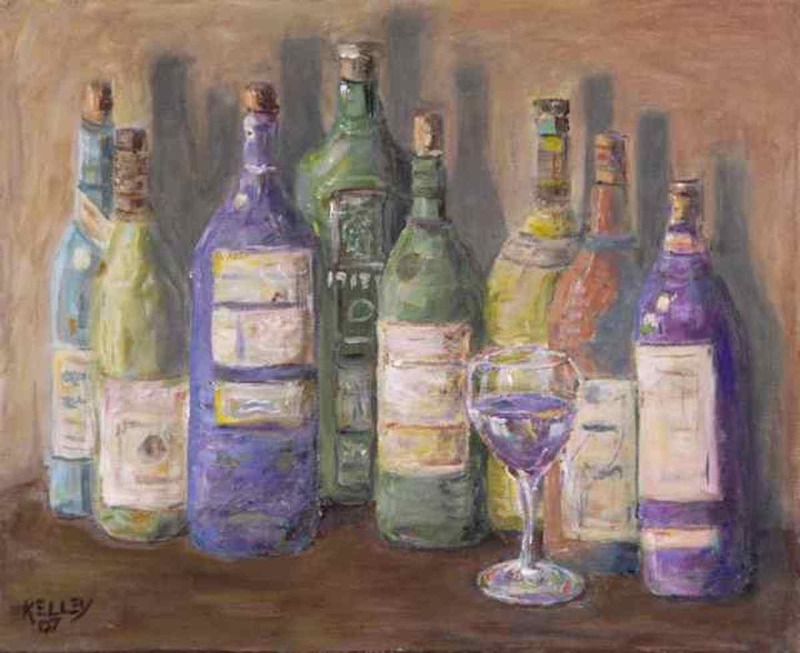 It is one thing to look at a bottle in order to drink from it; it is entirely different to look at it to paint. Before learning to paint I had little interest in still life paintings. As I progressed I began to understand the magic of this genre. They can show us a new way of looking at the ordinary objects around us. Once they are placed into a specific arrangement and then captured in paint, ink, pastel, or any other medium – objects can take on a whole new meanings. They are imbued with a life beyond the ordinary. I painted this piece in my Philomath studio in 2007. Details:Acrylic on Stretched canvas. 13 x 16 inches; 33 x 40.6 cm.Price:Sold. In a private collection in Wren, Oregon.